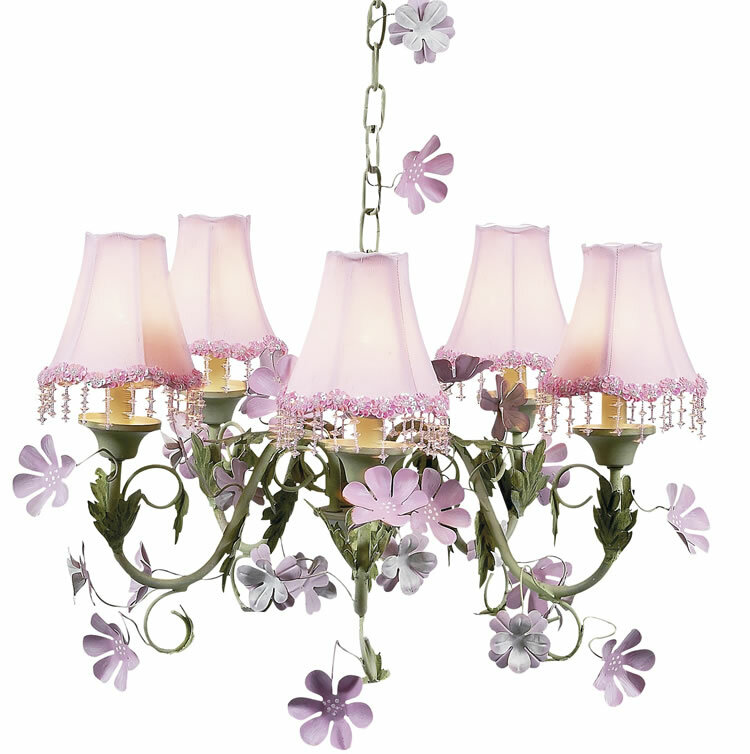 Turn her room into a garden retreat with this awesome pink and green flower chandelier. Green wrought iron creates the leaves and detailed pink petals hang so naturally that you can picture them blowing in the wind. This Leaf and Flower Jubilee Chandelier looks beautiful in any room. The detailing creates a designer look for any space. Add a feminine touch to your little girl's room with this one of a kind flower chandelier by Jubilee Lighting. Available as shown or without the pink shades. You may select from all children's chandelier shades.